Approx. Size : 1750 Sq.Ft. Approx. Size : 1119 Sq.Ft. Approx. Size : 1125 Sq.Ft. Approx. Size : 7985 Sq.Ft. Approx. Size : 7095 Sq.Ft. Approx. Size : 1676 Sq.Ft. Approx. Size : 1201 Sq.Ft. Approx. Size : 1777 Sq.Ft. Palm Jumeirah Dubai is palm-shaped artificial archipelago designed and developed by Helman Hurley Charvat Peacock/Architects, Inc. It is the smallest among all the three Palm Islands (Palm Jumeirah, Palm Jebel Ali and Palm Deira) located on coastal area of Jumeirah beach invading the Persian Gulf and thereby increasing the Dubai’s shoreline by 500 km approximately. It was created by Nakheel, a government owned company using land reclamation. The construction of Palm Jumeirah was started on 2001 and ended in the early 2007 leaving palm Jumeirah properties and palm Jumeirah villas for sale. Palm Jumeirah consists of the trunk, the 17 fronds and the circular crescent. The fronds of the Palm Jumeirah cover the residential area including luxury beachfront villas, town-houses, apartments and the Crescent encompasses the hotels and is connected to the trunk by tunnel. A 5.4 km long Palm Jumeirah Monorail provides the better connectivity between Palm Jumeirah and the mainland. This monorail was started on April 2009 and runs from Gateway Towers station to Atlantis hotel on the crescent. Residents of Palm Jumeirah Villas have access to world class facilities and comforts at Palm Jumeirah including resorts, private beaches, marinas, cafes and restaurants, retail outlets, spas, health clubs, gyms, watersports facilities, luxury hotels, bars and clubs contribute to a lavish lifestyle. This gives the good reason for buyers and investors to invest money on Palm Jumeirah property. There are legions of Palm Jumeirah communities which offer luxurious villas, apartments in palm Jumeirah for sale including Al Fattan Palm Jumeirah, Anantara, Balqis Residence, Canal Cove, Fairmont Residences, Frond Villas, Garden Homes, Kempinski Palm Residence, Kingdom of Sheba, Marina Residences, Oceana, Shoreline Apartments, Signature Villas, Taj Grandeur Residences and Tiara Residence. Moreover you can also be interested in palm Jumeirah villas for rent if you don’t want to buy the palm Jumeirah properties, in that case you can avail the palm Jumeirah property for rent also. We are your one-stop information centre for all the latest developments and news on the iconic Palm Jumeirah Dubai, the world's largest artificial archipelago. Our site provides accurate and professional real estate advice on this area exclusively with features such as continuously updated property listings, direct professional contact and call-backs as well as rental opportunities and local news updates. Essentially, Palmdubaijumeirah.com is your direct information and services hub which even includes booking into the luxury hotel resorts which service the area. 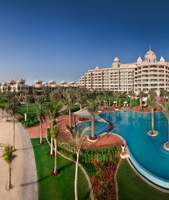 If you are looking for Palm Jumeirah property for sale or Palm Jumeirah property for rent contact the real estate experts at palmdubaijumeirah.com today! Palmdubaijumeirah.com offers luxurious Palm Jumeirah Properties in dubai , villas in palm Jumeirah for rent and sale in dubai. Contact us now!